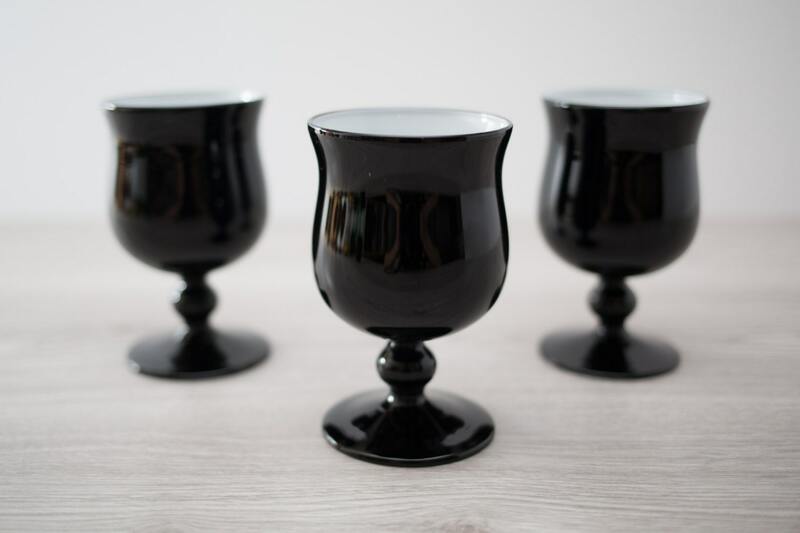 This is a very nice set of 3 Vintage Carlo Moretti Style art glass inlaid cordial goblets with a black exterior and white interior. 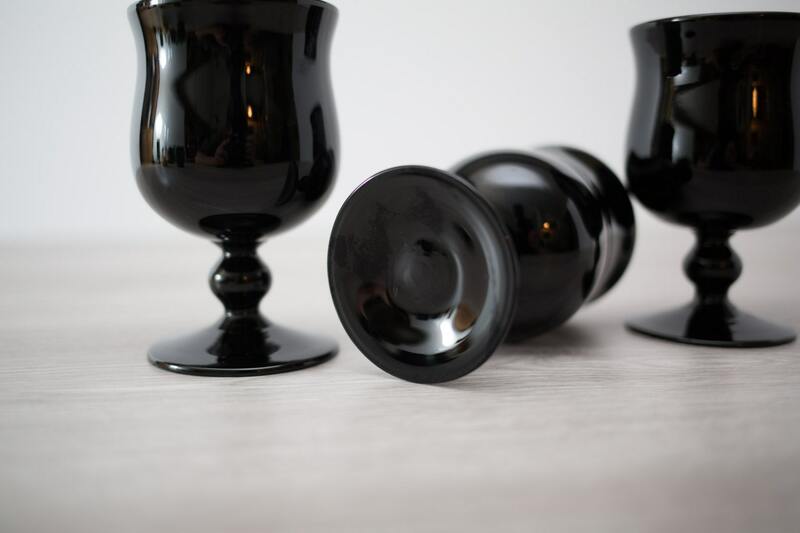 Makes excellent martini, wine or cocktail glasses. 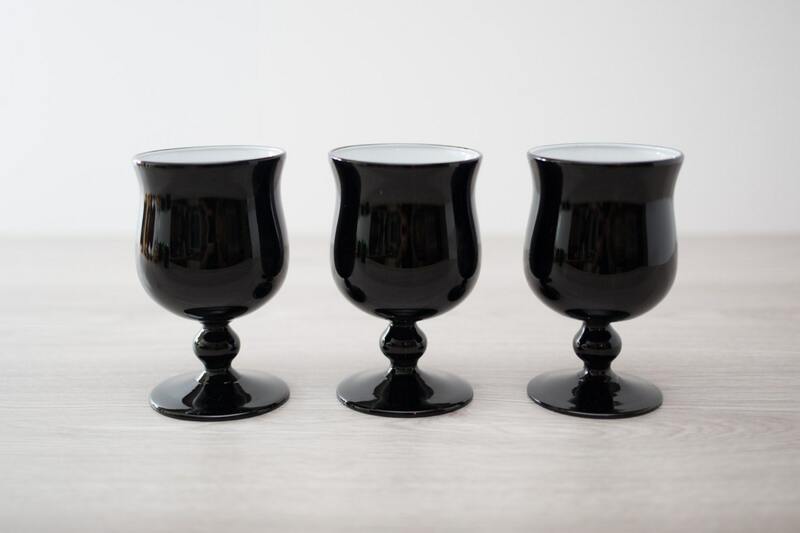 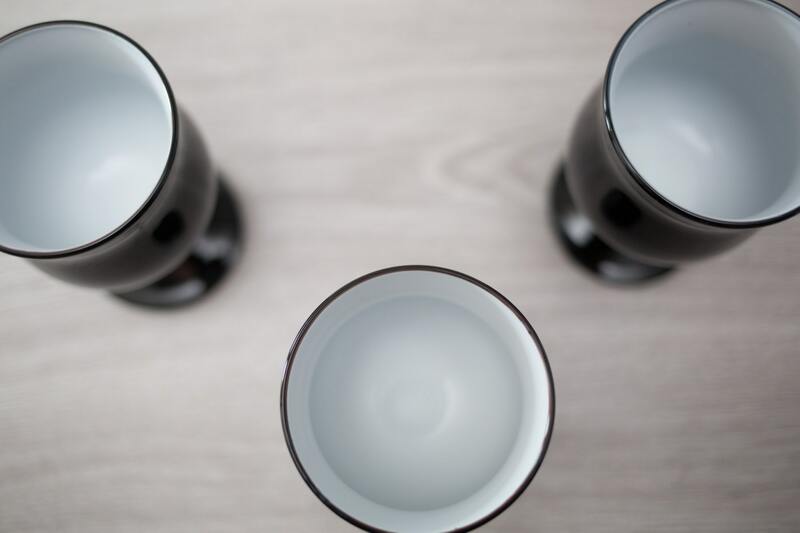 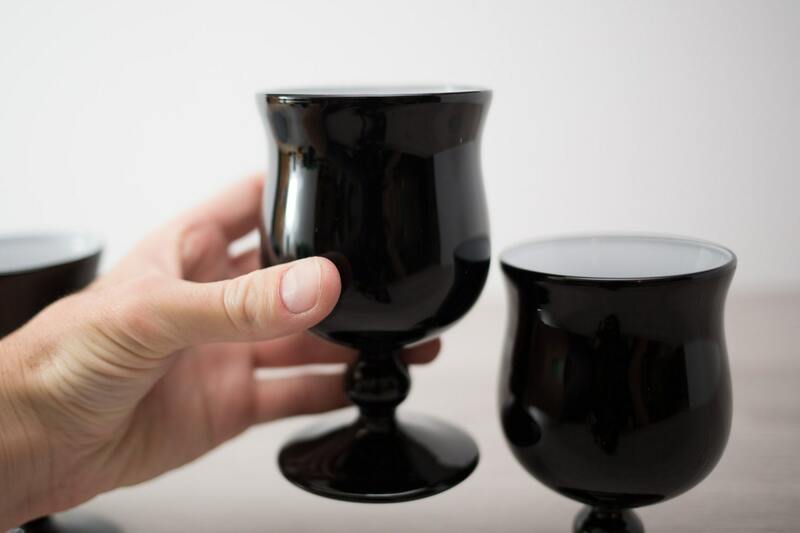 These footed glasses make the perfect addition to any table for any occasion.